iPhones are usually equipped with a big storage. However, the storage space is not unlimited. Maybe, your current iPhone storage is already full and you can’t even take trip photos or add that new game you wish to play. The only solution you have here is to empty storage on iPhone. While this might seem complicated, with a great tool, it is much easier than you think. Let’s check it out. The best tool you can use to get back the space you have on your iPhone is iMyFone Umate Pro. Umate Pro was not just built to help you save your space on your iPhone. It was built to make sure that you save the space you have on all iOS devices. This includes the iPad and iPod Touch. 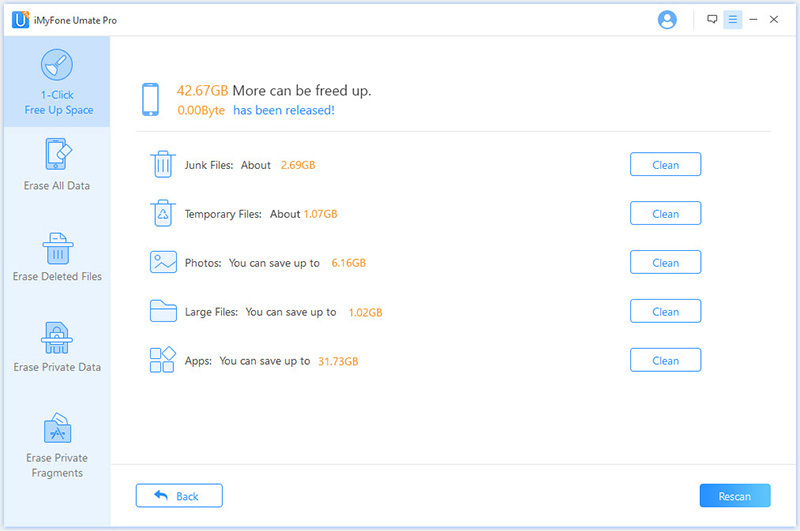 With a single click, you get to not just speed up your iOS device, you also get to free up a large amount of space. With Umate Pro, your data will be deleted in such a way that it will be unrecoverable. You can erase any data using Umate Pro. This data includes videos, photos, contacts, safari history, messages, etc. Umate Pro will help you erase third-party apps fragments to protect your privacy. Launch Umate Pro on your PC and connect the device whose space you would like to empty. Scan the iOS device. Umate Pro will do a space-saving analysis. After tapping the 1-Click Free Up Space option on the left panel, tap Quick Scan. Umate Pro will use its 25+ analyzing technologies to determine how much storage can be saved by cleaning temporary files, cleaning junk files, compressing photos, removing apps, and delete huge files. After the scan, you can empty your storage space by simply clicking Clean next to the item you wish to erase. Launch Settings > click General >select iPhone Storage. Tap the app you wish to offload. 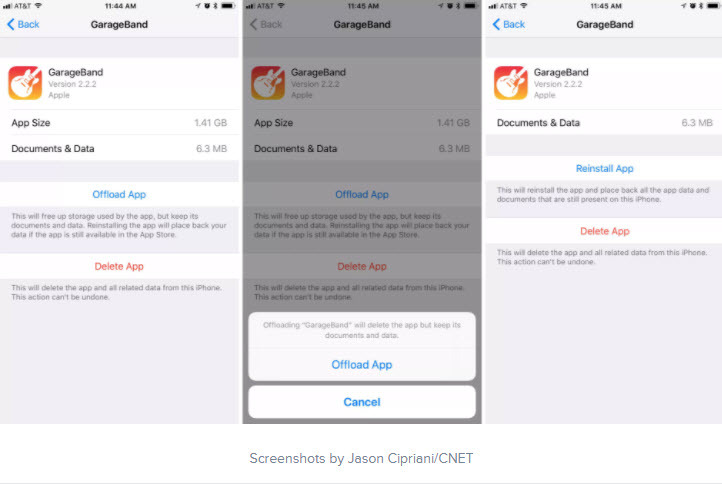 Click Offload App and then tap Offload App again on the popup to confirm. Photos and videos occupy huge storage space. 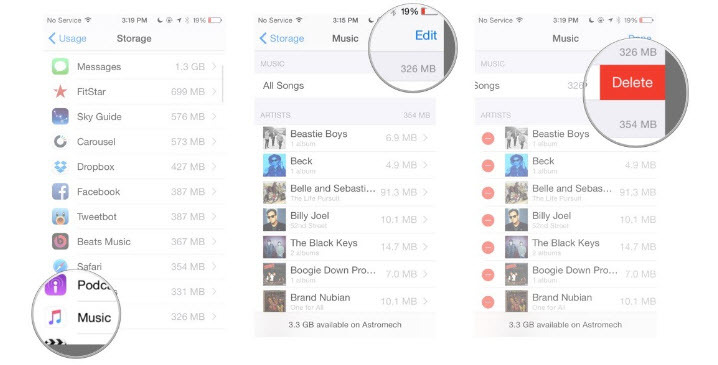 Below, we show you how to empty storage on iPhone by deleting these media files. Tap each picture you would like to delete. Click the Trash icon which is available in the bottom-right corner of the screen. Click Delete [X] Photos to confirm on the pop-up. Launch Settings > tap General > click Storage & iCloud Usage tab. Wait for a few seconds for your iPhone to display the storage information. Choose Manage Storage and then click Videos. Click Edit on the top-right and then tap the red minus icon on the left of each video you wish to delete. Launch Settings > tap General > click Storage & iCloud Usage. Click Manage Storage and choose Music. On the top-right corner, tap Edit. If you wish to delete all songs, click the red minus button next to All Songs. If you wish to delete specific songs, click the red minus icon next to the song you wish to delete. 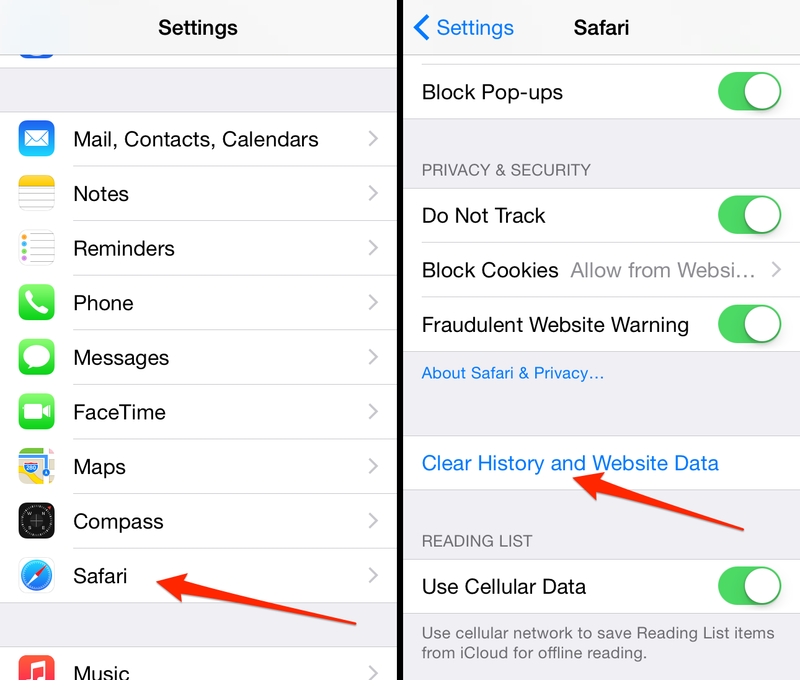 Launch Settings and scroll down to locate Safari. Tap Safari. If you need more storage space on your iPhone to store important data, you can get this by emptying your storage. 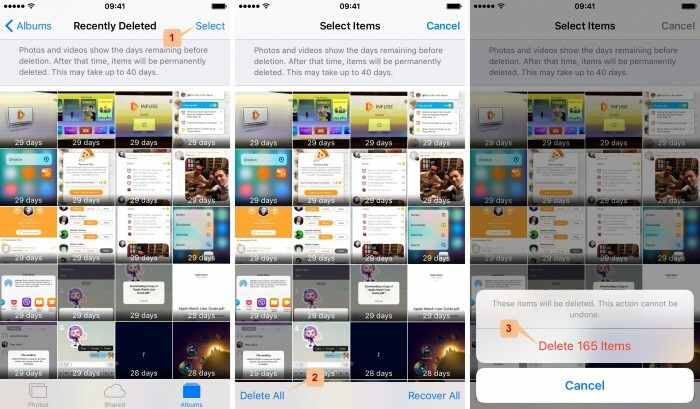 This article shows you various ways to empty storage on the iPhone. The best way to empty storage on iPhone is via Umate Pro. 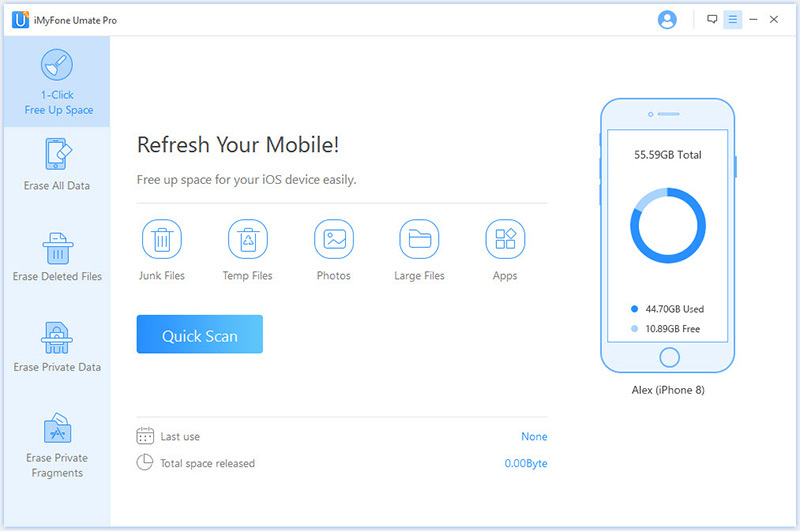 This app allows you to not only empty space, it makes your data irrecoverable in case you are thinking of selling your iPhone or recycling your iPhone.